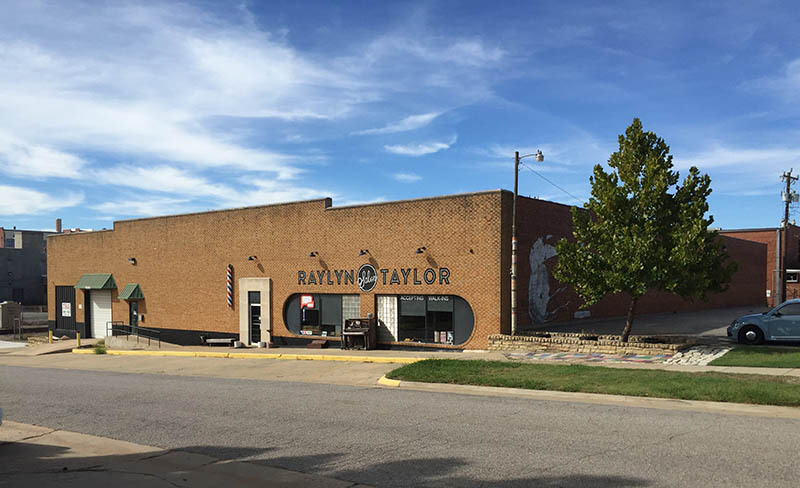 If this place is done well it really could become a destination spot for people visiting OKC. OKC (not unlike other cities) doesn't have a lot of things that you can't find in other cities, but Prairie would certainly be one. If you have friends coming in from out of town who are craft beer drinkers, there's a good chance they'll be excited to go here. Very cool. LOVE this project. I've been to the Prairie Pub in Tulsa. Great vibe and selection of beer. Have no doubt that this move by Choc/Prairie -- really a pretty huge deal not only in local, but maybe even in national and international beer circles -- likely would not have happened without the passage of SB 424. Don't even take it from me. Take it from Prichard. His response when I asked today if it was fair to say Prairie to OKC doesn't happen without SB 424? So what's next? Raise your hand if you would not be shocked if Roughtail and/or COOP looked to open brewery/taprooms closer to the city center. (My hand is raised.) In fact, I have it on good information that just like Choc, several future brewers, bar owners and developers have been working on their plans well ahead of the go-live date on SB 424. 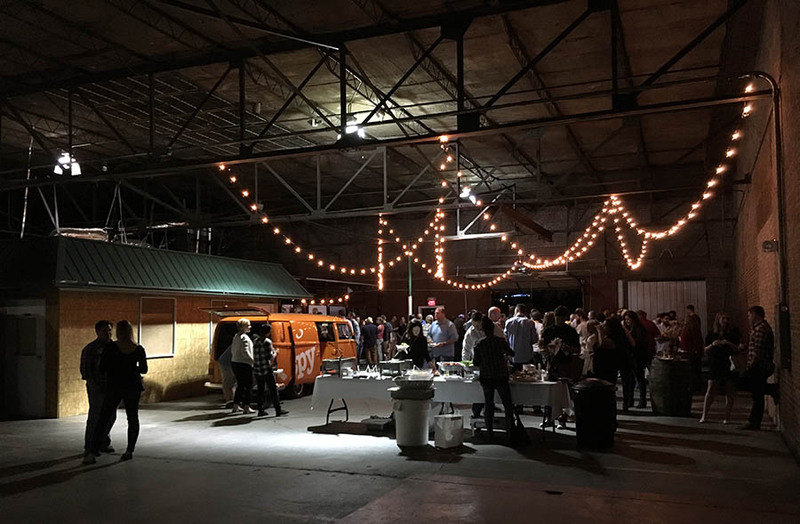 As one key player on the OKC beer scene suggested to me recently, those who don't already have properties or buildings locked up right now may be behind the game already. Absolutely. When I was in Kansas City recently, I sought out the Boulevard Brewery. Prairie, the Sunshine building, and other craft breweries in OKC will be a major draw. It's pretty darn exciting to see what can happen with a relatively simple change of an outdated law. I hear Black Mesa has been looking for a downtown spot as well. Would that be four breweries downtown? Prairie, Twisted Spike, Avery and now Black Mesa? That, obviously doesn't include Bricktown Brewery, which I consider more of a restaurant or Anthem since it is further west. What do our liquor laws prevent the breweries from doing currently? Anthem is already down near the Farmer's Market as well. Reminder that the Avery guy is calling his brewery in Sunshine Cleaner Stonecloud. Would love to see Coop do something too. A friend went by Coop a few weeks ago to buy us some glasses, and he was told they would start offering their full strength beer when the law changes. I haven't been in their taproom, but I plan on visiting this fall. No idea if they already have the space to expand their taproom, but I'm a big fan of their stuff, so I would love to see them do something to accomodate a nightly crowd. What do our liquor laws prevent the breweries from doing currently? Selling their products directly (except for 3.2). Are they allowed to include full strength samples for "free" with the purchase of a tour / merchandise, etc.? Up to 12 ounces of samples per person, per day. Or they can create a separate pub, say next door, sell their product to distributors, buy it back for the pub, and sell it. And SB 424 will allow the brewery to sell full strength directly to the customer without going through a distributor? I'm still trying to get a full grasp on all of this. Ladies & Gentlemen, The game has changed! This morning the House passed SB 424 which will allow Oklahome craft breweries to sell full-strength beers at our breweries starting Nov. 1st. We owe a huge debt of gratitude to the thousands of hours that our friends at LOCAL - League of Oklahomans for Change in Alcohol Laws have spent championing this cause. Thank you also to the state legislature for their support, in particular Senator Brian Crane, who introduced this measure in 2015 and saw it through two legislative sessions. Finally, thank you craft beer lovers. We have come along way together. Today we proved that we can make a difference. I emailed Senator Crain back in June to confirm some details, and his office confirmed brewers will also be able to sell kegs directly to consumers. However, I believe, at this point, the kegs may not be refrigerated. That would make sense, unless 792 (or 791) pass. Wasn't Raylyn Taylor in that building? Guessing they are gone? I get my haircut there. Said they will be staying at that location. 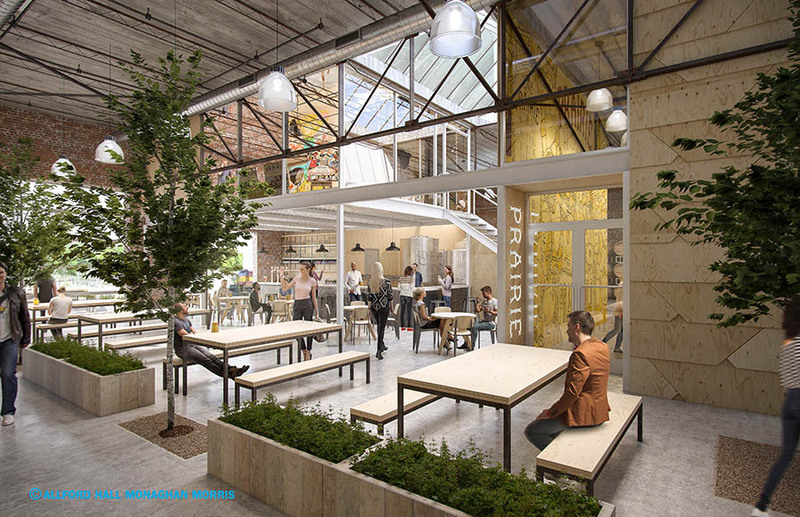 Architects Allford Hall Monaghan Morris of London and Oklahoma City have released images of the new Prairie Artisan Ales brewery and taproom that will be located in a renovated building at 3 NE 8th Street in Automobile Alley. As we were first to report early August, local developers Brandon Lodge, Patrick Murnan, and Cale Coulter have purchased the 19,460 square foot building and Prairie will be the anchor tenant. The following information is from a joint press release of AHMM and Prairie. 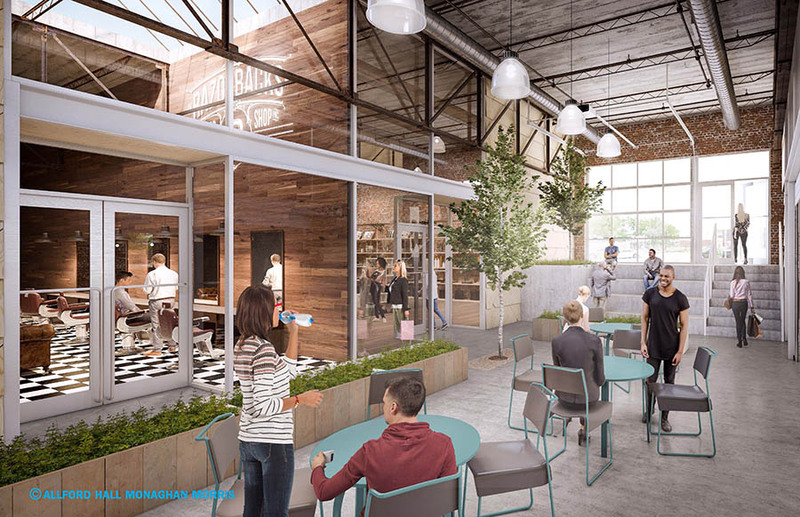 An existing industrial building is reimagined as a modern market hall as part of a wider regeneration of NE 8th street. This project involves the sustainable reuse of a dilapidated historic structure, including removal of unplanned external accretions and a new streetscape on the South. New building entrances are created on the West and East are connected with a wide shared pedestrian ‘street’. The ‘street’ encourages pedestrian interactions due to the location of tenant entrances, dynamic landscaping and the introduction of natural light. This flexible design allows for a vibrant mixed tenancy in both size, type and shape. The new west entrance doubles as an exterior patio while also providing protection from harsh western sun. 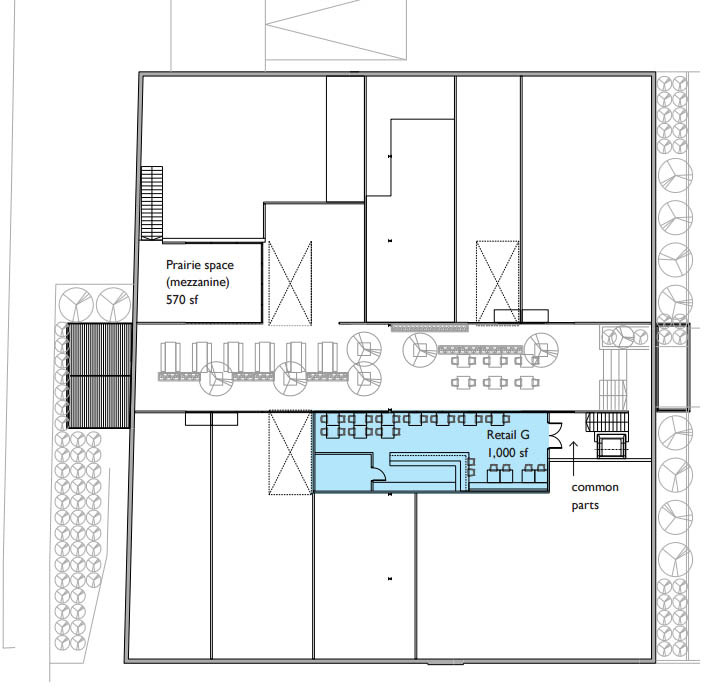 The generous interior volume is further activated and enhanced with two separate tenant mezzanines. Anticipated opening date is 2nd quarter 2017. Yup, basically a copy of The Source (Crooked Stave) in Denver. This is going to be awesome. 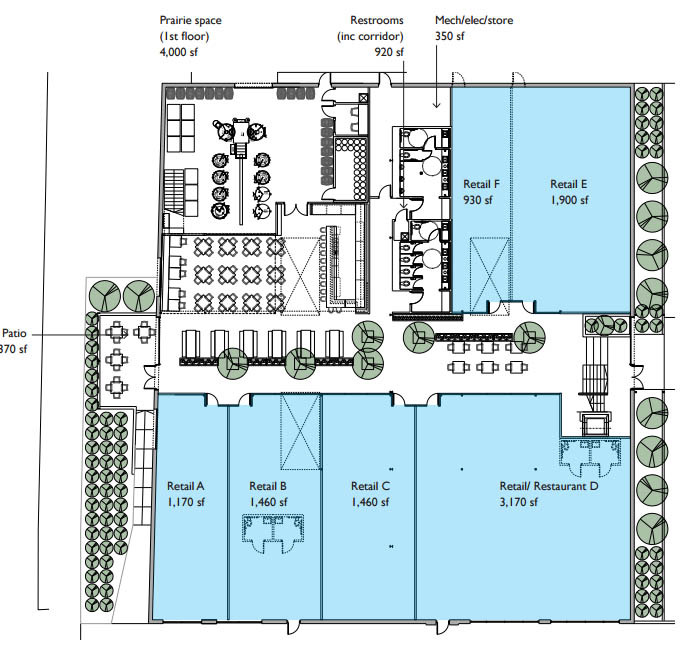 They plan on using this space for special one-off tap releases and special bottle releases. You're going to see "beer geeks" lined up very early in the morning from time to time in front of this building. Went to an event at the site last night; a kick-off for the project that featured Prairie pouring beer. This space is really fantastic and I know AHMM will do an amazing job with it. Nice! Look forward to this. was just talking about it yesterday with a buddy who is moving his Tattoo shop to 9th. Telling him he will be in close proximity to good beer. His place opens Monday BTW. Black Magic Tattoo on 9th on east side of tracks in the white building behind OKlahoma shirt company.